by James Dotson / How one man arrived at abstinence. 13 Tired of performing the same old tricks and getting nothing in return? by Christopher C. Thompson / You are on God’s A-list. How do you reply? by Rashad Burden / Too Fortunate. 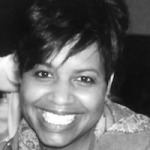 by Stephen P. Ruff, Jr. / How Antoinette Tuff was prepared for her purpose. by Carlton P. Byrd / Blessings from family. by Donald L. McPhaull / Is the husband the boss? by Donna Green Goodman / Throw it in the crock-pot!